Plus, an overview of the game's various modes. Capcom has released the full story trailer and new screenshots for Marvel vs. Capcom: Infinite. The story mode trailer highlights never-before-seen elements of the story mode, and expands upon the key plot points, with heroes from both the Marvel and Capcom universes coming together in an attempt to stop Ultron Sigma from infecting all biological life in the newly merged worlds. 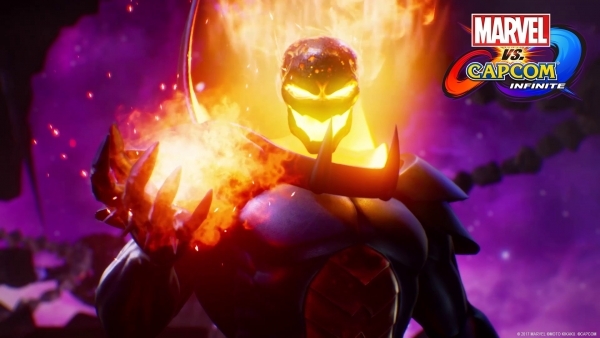 Additional information and gameplay of recently confirmed playable characters Jedah, Dormammu, Firebrand, and Ghost Rider will be available next week at Gamescom 2017. They bring the final roster at launch up to 30 characters, with more post launch characters to be announced in the future. Marvel vs. Capcom: Infinite is due out for PlayStation 4, Xbox One, and PC on September 19. A story demo is currently available for consoles.